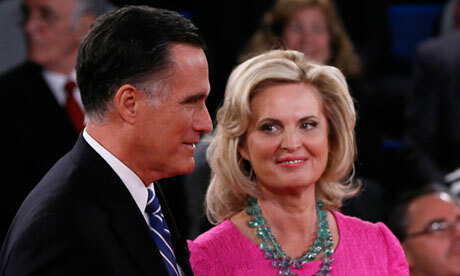 ‘Romney’s ‘Binders’ Comment Threatens Pitch to Women’ or ‘Women See Romney ‘Binder’ Remarks as Sideshow to Economy’? Women in Election 2012: How We Can Go Beyond Binders PolicyMic …After the second presidential debate on Tuesday, women in binders dominated the discussion of gender in election 2012. At the New York Times, Ross Douthat argues that partisan politics obscured the important issues at hand in Romney’s remarks on workplace equality (and gives a huge shout-out to Ann Friedman!). While I don’t totally agree with his analysis, his point that what we should be focusing on Romney’s actual policies in the meme-tastic gaffe is spot-on. Women and the Men Who Yell New York Times Maybe someday, the voters of 2012 will be telling their grandchildren where they were when Mitt Romney evoked Women in Binders.By then, of course, they will have gotten a little fuzzy about the details. Maybe they’ll tell the kids that, in the end, the whole election came down to the time Mitt Romney put Big Bird in a binder on the car roof. Romney’s binder comment weighs on women vote push Mother Nature Network An off-the-cuff comment by Mitt Romney about women job applicants went viral online Wednesday in a bizarre twist of a potentially decisive election duel for the hearts and minds of female voters. ‘Binders Full Of Women’ Serious Note: Romney & Obama Fighting For Women’s … Enstarz Mitt Romney’s infamous debate remark is now stirring controversy over which presidential candidate will win the most votes of women, an area that he and President Barack Obama are reportedly fighting over before the Nov. 6 Election Day. Women See Romney ‘Binder’ Remarks as Sideshow to Economy Businessweek Under Obama, almost half of the 468-members of the White House staff is female, according to a list of employees submitted in a report to Congress this year. “Many of the president’s most important agenda items are implemented by women cabinet ..
Romney’s ‘binders’ bind Chicago Tribune “Binders full of women,” Mitt Romney’s wince-inducing expression from the second presidential debate, has become almost as big a Mitt-ism as “Big Bird” was in the first.